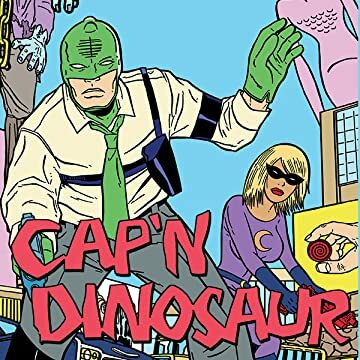 COMPLETE, ALL NEW CAP'N DINOSAUR TALE IN THIS ISSUE! When a mysterious drowned man falls out of the clear blue sky, The Cap'n and Honey Moon follow a trail which leads them to a deserted Amusement park. 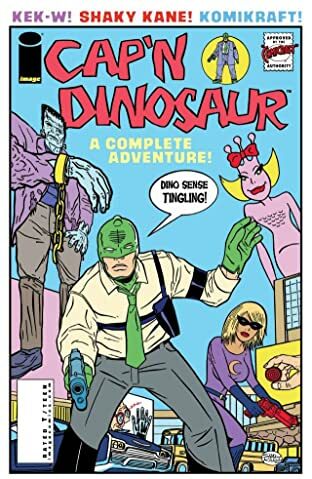 Writer KEK-W (2000 AD, Ruddy Rucker's Flurb) and THE BULLETPROOF COFFIN's SHAKY KANE take the law into their own hands in this two-fisted tale of Murder, Muscle Marys, and Mail-order Mystery. WARNING: Contains Pop Culture references and Impact wounds.